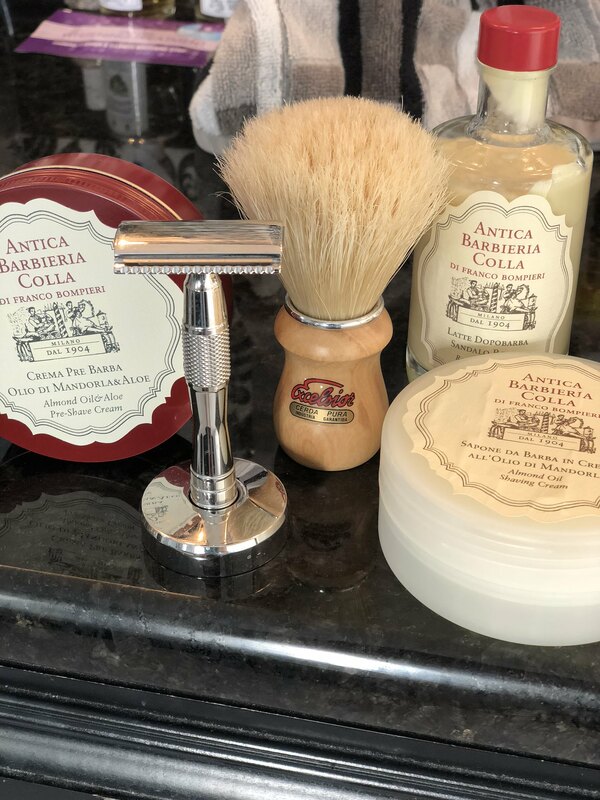 Gearing up for an Antica Barbieria Colla Shave in the morning. It is on my bucket list to visit this legendary Italian Barbershop! Happy Shaves! A sublime wet shave is one of life's little joys! Happy Shaving!! I already had the ABC soap and like it. The Almond Oil and Aloe cream are new along with the balm. Excited to try it with these two. The preshave cream is the same they use in the old world barbershop. ABC is good. I love the old world Italian nostalgia it brings as well and its history. I am a big fan of Italian Barbershops and historic Italian wet shaving. Is it as good as some of the newer artisans I would say no but that isn’t my main concern. It is not only a brand it is an experience. I also have the ABC shampoo and conditioner along with their CAPSICUM & MENTHOL scalp treatment lotion which is fantastic! Having incredibly bad skin and tried virtually every post shave balm there is, find the ABC to be hands down the best. Unfortunately it also amongst the most expensive.